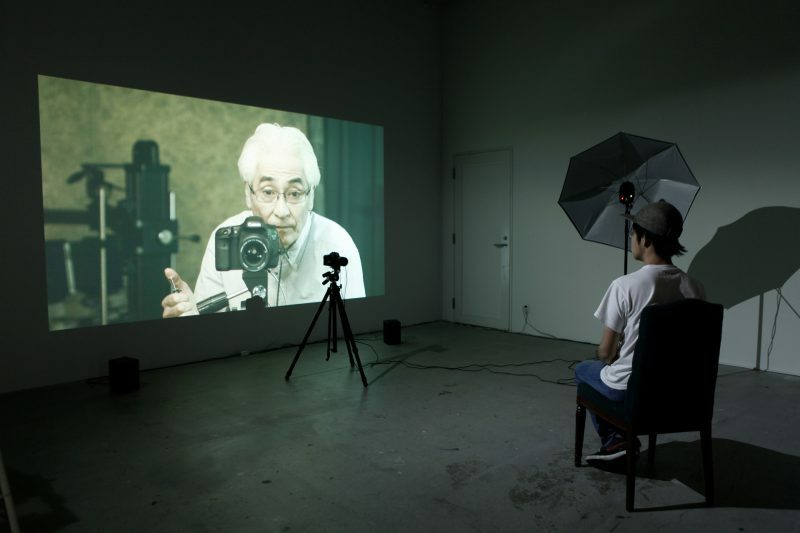 The old photo studio is an interactive installation work utilising short film techniques and an actual camera that generates interactions. 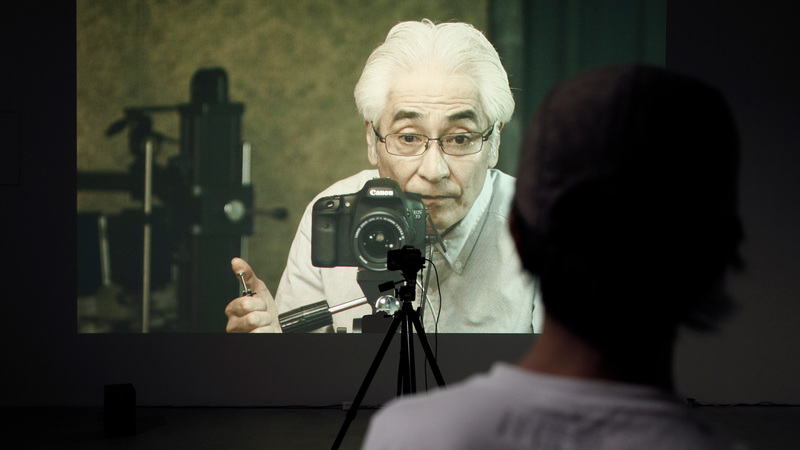 When the old man playing the role of photographer releases the shutter in the film, a camera installed in the exhibition space takes a photo of the viewer. Immediately afterwards, photographs of the viewer appear in the film. 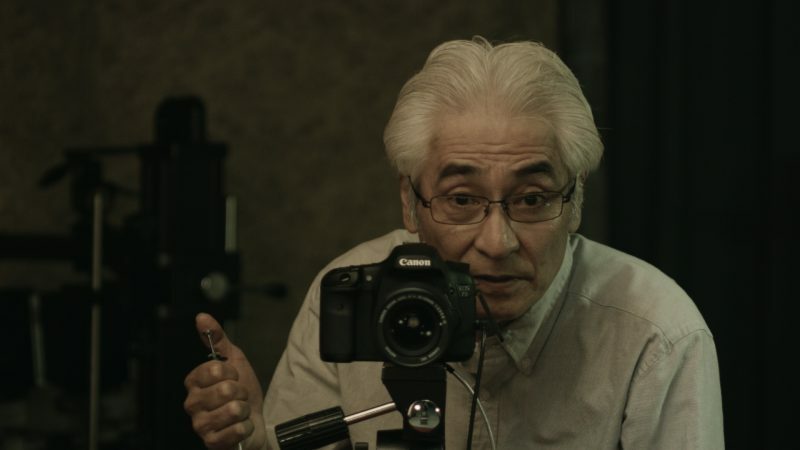 In the situation where past images and present himself are mixed, the viewer is witness to the forging of a relationship between himself and the character in the film.